The fat lady isn’t even in the building yet. DNs and Ice Optimist sailors from 12 countries (including Chicago sailor Chris Berger) have gathered on Lake Baikal this week for the annual regatta. 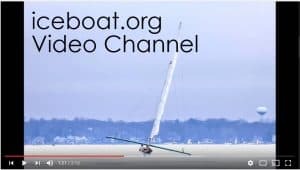 Closer to home, the Chickawaukee Ice Boat Club sailors are making an effort to sail in Maine this Thursday.